I stumbled across this soup recipe about the same time I found last week’s chili recipe and couldn’t stop thinking about trying it out. The recipe comes from the site Running With Tweezers (love that name, btw!). It seemed healthy, hearty, and I couldn’t imagine how it wouldn’t be delicious. I’m all for soups with pasta in it, because in case you haven’t heard, I adore pasta. So if I can work pasta into soup (or any meal, really), I’m all about it. All of the ingredients worked together really well. Start off with cooking garlic and red pepper flakes in oil for a few minutes. 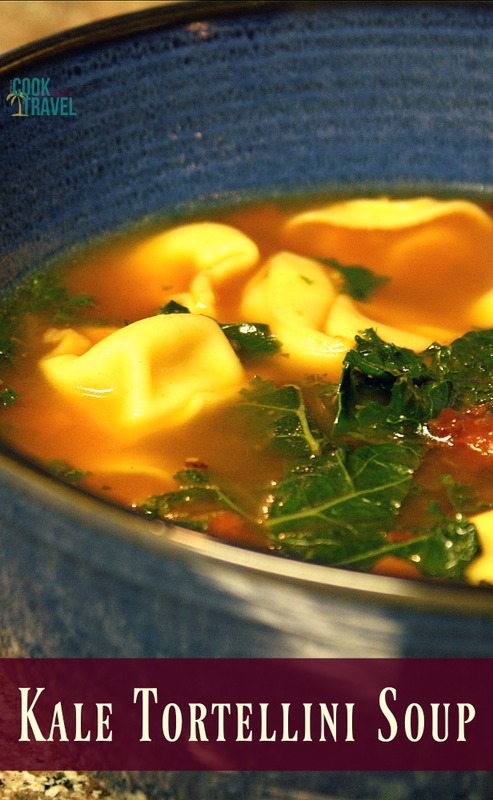 Vegetable stock and diced tomatoes form the base of the Tortellini Kale Soup. 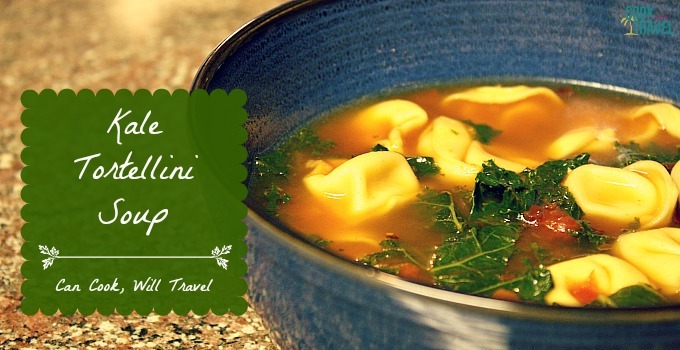 The tortellini is cooked in the liquid, and then the kale wilts down in the soup at the end. Pesto and seasonings are added to round out the soup, creating a delicious soup that is full of spice! Feel free to cut down on the red pepper flakes if you don’t love spice or are cooking for kiddos. 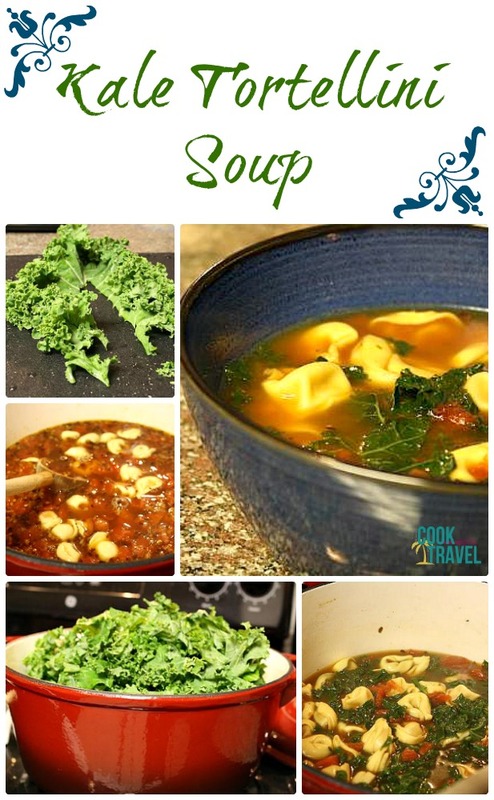 Click here for the recipe and step by step instructions, and I hope you enjoy this Tortellini Kale Soup as much as I am. I’m already trying to figure out when I can make it again! Enjoy! !